A woman says she caught Steven Schneider vandalizing a campaign sign, and then he spray painted her vehicle. Now police say he may have defaced other political signs in the same neighborhood. 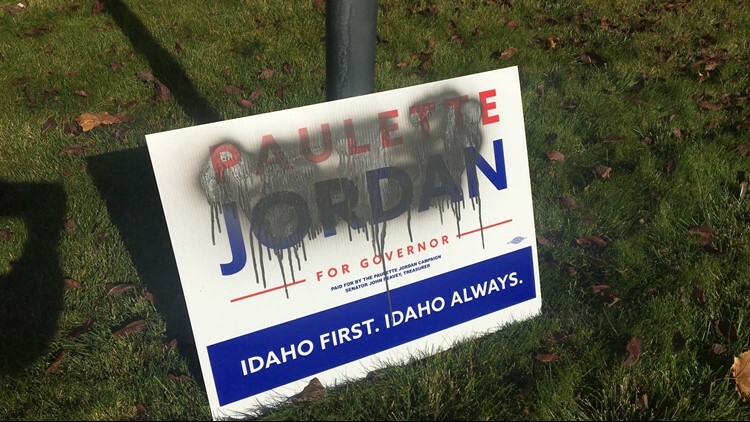 BOISE — A Boise man accused of spray painting a woman's vehicle after she said she caught him defacing a political sign in front of someone's home may have targeted other political signs in the neighborhood, police said. Steven Schneider, 63, was arrested Wednesday and booked into the Ada County Jail after police responded at around 4:15 p.m. to the area of West Powell Street and North Prescott Avenue to a report of a vandalism that had just happened. When Boise police arrived, they detained Schneider. A witness told police that she saw Schneider spray painting a political sign in front of a home. When she confronted him from her vehicle, she said he also spray painted her driver's side window. Schneider was booked into the jail on a misdemeanor count of malicious injury to property, and he was also found to have a misdemeanor warrant for battery. Now, police say Schneider could be the culprit behind those incidents too.